Trying to stay on top of health- and wellness-related news and events can be overwhelming. It’s a lot to digest (pun intended). We saved you the trouble. 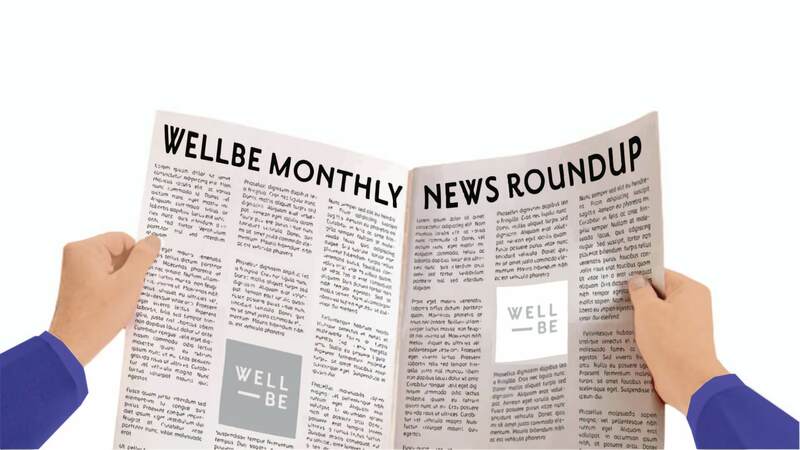 Here’s what happened in September, WellBe-style. What: MVP Alert! Thanks to a $200 million donation from an alumni couple, the University of California, Irvine is starting a program that pulls in the school’s resources to teach and research alternative therapies and treat patients holistically. The Details: Billionaires Susan and Henry Samueli are big advocates of holistic medicine— she used a homeopathic remedy to cure a cold over 30 years ago and hasn’t looked back since. The gift includes an endowment for curriculum development for med students and a new school, the College of Health Sciences, that’ll be named after the donors, the Los Angeles Times reported. It’ll absorb the university’s existing Center for Integrative Medicine, which offers alternative treatments like acupuncture, homeopathy, and Chinese herbs along with traditional treatments, STAT reported. Why Does This Matter for My Health? UCI says the program is the first universitywide enterprise to embed integrative health approaches in research, teaching, and patient care. Getting in on the ground floor of teaching med students about integrative care is especially important because it sets the foundation for a future with holistic care as the norm, we think. Bonus: The Samuelis hope the research they’re funding can help convince insurers to cover alternative therapies, so more people can use them. The WellBe Takeaway: We’re psyched! Nothing proves a point better than research. Funding and commitment on this scale is a huge moment for integrative health research and the pursuit of a root cause in medicine. We also struggle to get our insurance to pay for our integrative care, so we are really hoping this eventually changes insurance companies’ policies to help us out. Pretty plz. What: In one year, one of the largest food banks in the country cut back big on their junk food donations so that they could provide healthier options instead. The Details: Washington D.C.’s Capital Area Food Bank (CAFB) distributes 46 million pounds of food to its 444 nonprofit partners every year. They kept hearing that recipients’ docs wanted them to cut the salt and sugar and increase the fiber in their diets. And the facts back that up: 48 percent of the people CAFB serves have high blood pressure and 22 percent have diabetes or live with someone with those diseases, NPR reported. “We see that information and feel it’s a moral imperative to be focusing on food that is going to drive better health outcomes for folks,” Hilary Salmon, director of communications at CAFB, told NPR. So last year, they talked to their grocery store retailer supporters to change their donations. To help their time-strapped recipients, CAFB created a set of easy-to-follow, quick recipes (all under $7!). CAFB isn’t the only food bank focused on healthier options, but they’re leading the way. Why Does This Matter for My Health? Eating healthy, nutritious foods is one of the most straightforward ways to reduce your risk of chronic disease. Food banks serve about 14 percent of the whole U.S. population and helping any group stay healthier keeps us all healthier. Not to mention, food banks generally serve an underserved population that may be on Medicaid. If you’re a taxpayer, this should be good news to you. The WellBe Takeaway: The next time a food drive comes up in our communities, we’re going to follow Feeding America’s Healthy Food Donation List. They’re a national coalition of food assistance programs (CAFB is a member) and they made a seven-year commitment to focus on nutrition and health. What: After 10 weeks using an online program, a group of insomnia patients measurably improved their sleep. The Details: The study specifically looked at Sleepio, an interactive digital cognitive behavioral therapy (CBT) program. CBT for Insomnia (CBT-I) has been shown to help 70 to 80 percent of insomnia sufferers, Vogue reported, but most insomnia patients aren’t being offered it as a treatment. In the study, ~1,800 patients signed up for Sleepio and got six 20-minute sessions that included personalized advice. They reduced their insomnia by an average of 5 points (on a 32-point scale). Besides getting better sleep, patients also improved depression, anxiety, psychological well-being, and nightmares, HealthDay reported. OK, those benefits may just be from finally sleeping well, but it’s worth noting. Why Does This Matter for My Health? Overall, Americans are rather desperate to improve our shut-eye. CBT-I is a drug-free solution that the American College of Physicians says should be the first line of defense against sleep solutions, but it’s being underutilized. “The majority of people are being treated badly by their general practitioner,” Michael Breus, Ph.D., a fellow of the American Academy of Sleep Medicine, told Vogue. “There’s little evidence that pills work, but the science behind the effectiveness of CBT-I is crystal clear.” If you’re taking sleep meds, try Sleepio/CBT-I ASAP, it’s side-effect free! The WellBe Takeaway: Though none of us at WellBe suffer from insomnia, we know what a bad night’s sleep does to us and how being sleep-deprived causes so many other health problems for us. Next time our friends complain about sleep issues, we’re telling them to fix it for good and pointing them to Sleepio. What: Moisturizers labeled “hypoallergenic” or “fragrance free” may actually contain those ingredients, which makes it hard for people with eczema or psoriasis to find a safe option. The Details: A Northwestern Medicine study looked at the top 100 best-selling, whole-body moisturizers at Amazon, Target, and Wal-Mart. They found that 45 percent of products that claimed to be “fragrance free” had a fragrance cross reactor or botanical ingredient and 83 percent of “hypoallergenic” products had a potentially allergenic chemical. For people with skin disorders, it’s especially important to know what’s in their products so they don’t further irritate things. But manufacturers don’t have to list every chemical in their products if it’s got a fragrance. “There’s a huge loophole relating to fragrances, which is the number one cause of skin allergies related to cosmetics,” study author Steve Xu, resident physician in dermatology at Northwestern University Feinberg School of Medicine, said in a news release. Why Does This Matter for My Health? Only 12 percent of the best-selling moisturizers in the study were free of skin allergens. If you’ve got any skin issues (or, frankly, just want to avoid toxins and chemicals going into your skin and body), cold-pressed, unrefined coconut oil and unrefined shea butter may be safe bets, based on the team’s findings. The WellBe Takeaway: This just seems mean, and feels like it should be illegal to us! Lack of oversight into what’s in cosmetics is a big problem. There’s a piece of legislation out there to address this, the Personal Care Products Safety Act (and it’s got the support of big companies like L’Oreal and Johnson & Johnson), but we don’t know when it’ll actually get passed. We’re being extra careful about the personal care products we buy (including tampons, pads, and condoms). What: Since the ‘60s, the number of Americans who die from stroke has been dropping. But now that decline has slowed, stalled, or reversed in most states, which may be because of still-high rates of obesity and hypertension. Sad face. The Details: According to a Centers for Disease Control and Prevention (CDC) report, stroke mortality fell every year from 2000 to 2013, then it started climbing back up by 4 percent each year. That equals 75 deaths per 100,000 cases. “This is an important wake-up call,” CDC Director Dr. Brenda Fitzgerald said during a press conference. “The majority of strokes we see are avoidable, and we know how to prevent them.” Researchers didn’t say why the number of stroke deaths hasn’t continued to improved, but said healthcare professionals can increase their efforts to ID and treat risk factors like hypertension, obesity, high cholesterol, and smoking, MedPage Today reported. Why Does This Matter for My Health? Healthy lifestyle changes like healthy eating and not smoking can prevent up to 80 percent of strokes, according to the CDC. For people with stroke risk factors, it’s especially important to make these improvements before it’s too late. A separate, unrelated study on global death rates found that non-communicable diseases— which includes heart disease, diabetes, tobacco, and poor diet —caused 72 percent of all deaths worldwide in 2016. The WellBe Takeaway: This is just so dumb, and unnecessary. And when the CDC says it’s avoidable, you know it’s bad. Can we get a #getwellbe chant going? Also, we don’t smoke, ever. We even run away from smokers on the street (true story). And you’ve heard plenty about our obsession with eating nutritious, real food, so we’ll leave it at that. What: In long-term study, researchers found that, for every three additional months that mothers breastfed, women had an 8 percent drop in risk of endometriosis, the growth of uterine tissue outside the uterus. Endometriosis is a chronic and (apparently) incurable gynecologic disorder that can have debilitating symptoms. The Details: Researchers at Brigham and Women’s Hospital looked at data from over 70,000 women who had had one or more pregnancies. In that group, there were 3,296 diagnoses of endometriosis. Not only did they observe the 8 percent drop, but for moms who exclusively breastfed, their risk dropped 14 percent, Science Daily reported. It’s not clear how this worked (women who stopped getting their periods after giving birth also reduced their risk), though, The New York Times reported. Why Does This Matter for My Health? Up until now, there haven’t been many known, modifiable risk factors for endometriosis, which affects approximately 10 percent of women in the U.S. (You may have first heard about it because of Lena Dunham.) Researchers plan to look into whether breastfeeding can help ease endometriosis symptoms for women who’ve already been diagnosed. The WellBe Takeaway: This is encouraging to further support the benefits of breastfeeding for women who are able to. It also shows how everything is pretty connected and that endometriosis is not an isolated, uterine issue. Ya know how holistic health is about things being connected and getting to the root of the problem? So that’s good. But experts are still trying to figure out endometriosis. Sadly, there’s still a ways to go for those suffering. What: Sorry, all you beautiful tattooed people. Pigment and toxic chemical impurities found in tattoo ink may accumulate in the lymph nodes, which could lead to chronic inflammation. The Details: The study is the first to show that specific pigments and impurities go from the dermal layer of the skin to the lymph nodes, Tonic reported. Researchers already knew that pigments from tattoos can travel through the body into the lymph nodes (it’s the body’s way of cleaning where you got inked), but the new study showed that the ink travels in nanoparticle form— and they don’t know what that does to the body. One of the chemicals, TiO2, has been linked to inflammation. Your lymph nodes help your immune system filter out bad stuff. This study found cadmium and mercury, which are both highly toxic, in one subject’s nodes, Gizmodo reported. Nanoparticles could lead to a chronic enlargement of the lymph nodes and a lifelong exposure to potentially toxic compounds. The WellBe Takeaway: It’s still unknown what the long-term health effects of tattoos are. Tats are a highly personal choice and a way to express yourself, we get it. But given this research and what we’ve learned about our toxic burden and the link to chronic disease, we say forget it, it’s not worth the risk. What: For a group of patients with an acid reflux condition, eating a Mediterranean-style diet relieved their symptoms as effectively as medication. The Details: Laryngopharyngeal reflux is a condition where stomach acid habitually backs up into the throat and causes symptoms like hoarseness, chronic sore throat, and persistent coughing. It can happen to anyone and may be caused by diet (citrus, fatty foods) and bad habits (overeating, alcohol and smoking). It’s usually treated with proton pump inhibitors (PPIs)— they’re among the top-selling meds in the U.S. The study’s lead researcher had noticed that PPIs weren’t effective for a lot of his patients and research linked prolonged PPI use to slightly increased risks of heart attack, kidney disease, dementia, and bone fractures, HealthDay reported. The study looked at 184 patients at one medical center who were advised to go 90 percent plant-based with their diets and eat mainly vegetables, fruits, legumes, whole grains, and nuts. They could eat meat and dairy two to three times a week. Researchers saw a “clinically meaningful” improvement in patients’ symptoms, The New York Times reported. The WellBe Takeaway: We’re nudging our friends and family with acid reflux to eat more like they live on the Mediterranean, starting with recipes like these. Another A-MAZING example of food being medicine and hopefully allowing those with acid reflux to kick meds to the curb. A win for the home team.